Tenacious D is an American rock band that was formed in Los Angeles, California, in 1994. 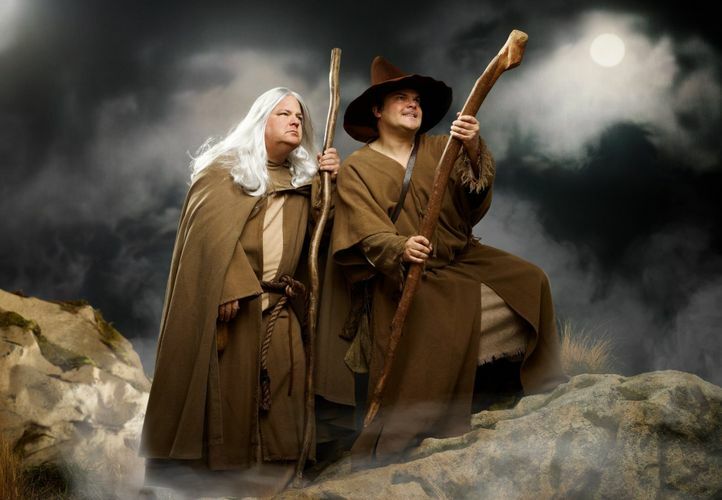 Composed of lead vocalist and guitarist Jack Black and lead guitarist and vocalist Kyle Gass, the band has released three albums – Tenacious D (2001), The Pick of Destiny (2006), and Rize of the Fenix (2012). The band's studio releases, and more recently[when?] its live performances, feature a full band lineup, including such musicians as guitarist John Konesky, bassist John Spiker and Bad Religion drummer Brooks Wackerman. The band first gained popularity in 1999 when they starred in their eponymous television series and began to support large rock acts. In 2001, they released Tenacious D, their debut album featuring a full band. The first single, "Tribute", was the band's most successful achieving their only Top 10 in any chart, until they released "The Metal", which was first shown at Saturday Night Live. In 2006, they starred in, and recorded the soundtrack for, the film Tenacious D in The Pick of Destiny. In support of the film, the band went on a world tour, appearing for the first time with a full band. They released their newest album "Rize of the Fenix" on May 15, 2012.